Megan Finin — SparkShoppe LTD.
Megan has over 8 years of experience in retail marketing with expertise in digital marketing and analytics. She has spent most of her career managing and executing social and digital marketing initiatives. She is a marketing technology enthusiast and understands the dynamic social media environment and the role it plays in business strategy. 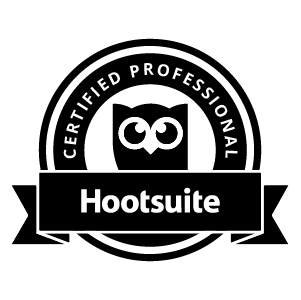 She is certified in Hootsuite Social Media Marketing, Google Analytics and Google AdWords and is a Facebook Blueprint Certified Planner. Megan has taught undergraduate and graduate level Digital and Social Media Marketing courses at the University at Albany. Megan holds a B.S. in Marketing and Liberal Studies from Bentley University and an MBA from Clarkson University, Capital Region Campus.